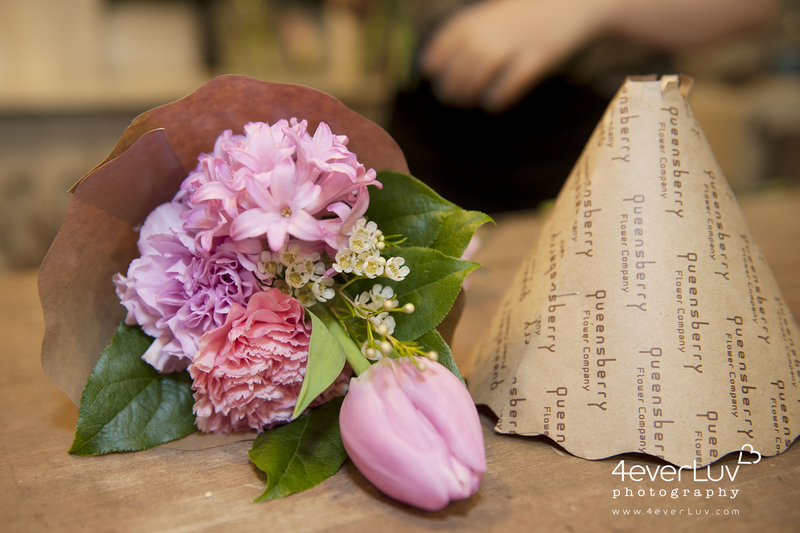 4everLuv visited and chatted with Kanako Heinrichs the owner of Queensberry Flower Co. for some tips and upcoming trends for this year’s weddings. Sometimes Kanako takes her 6 month baby daugher Erika to work when it gets really busy, so it was great to catch Erika there for our photoshoot. 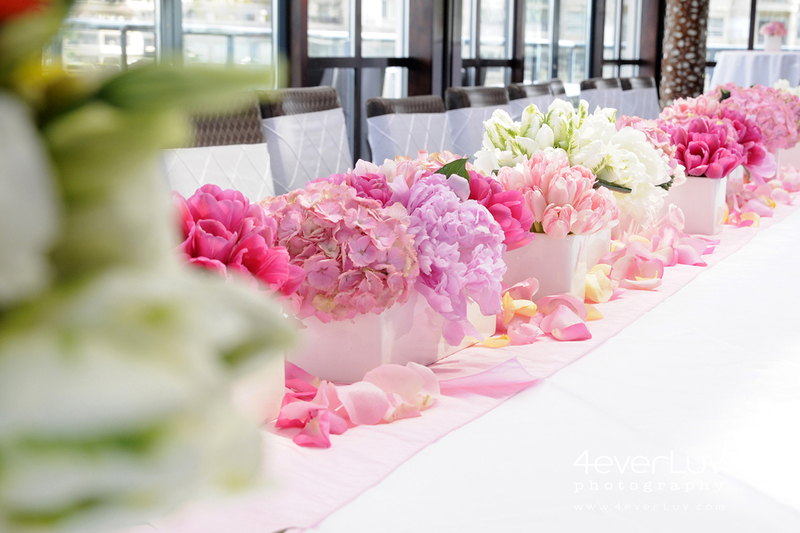 Queensberry Flower Co. is a wedding and events floral specialist located in the heart of downtown Vancouver. 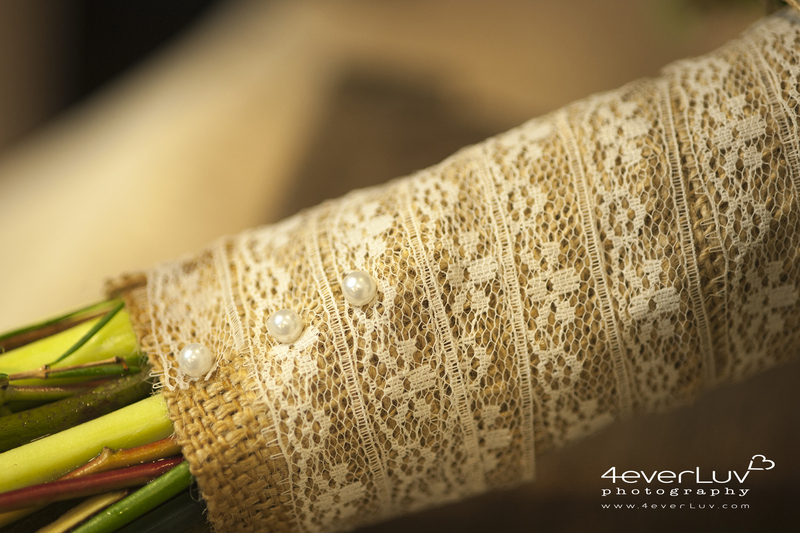 Every wedding floral design is custom designed and handcrafted by our skilled floral designers. Our focus is to create beautiful arrangements that match your grand vision using locally sourced, seasonal flowers. What is your favourite flower to work with in weddings? We always love working with locally sourced flowers. Flowers are the most lush and beautiful during their season and why not admire the abundance of beautiful flowers grown right here in B.C. rather than importing out-of-season flowers all the way from the remote land. We strive to be Eco-conscious and do our best to cut our carbon footprint wherever possible and we recommend our clients do the same. What does Queensberry do best? We are great at taking our clients’ vision and dreams into consideration while creating something beautiful that doesn’t break your bank. We communicate with our clients very closely and exchange ideas, so you can talk to us like you talk to your maid of honour! 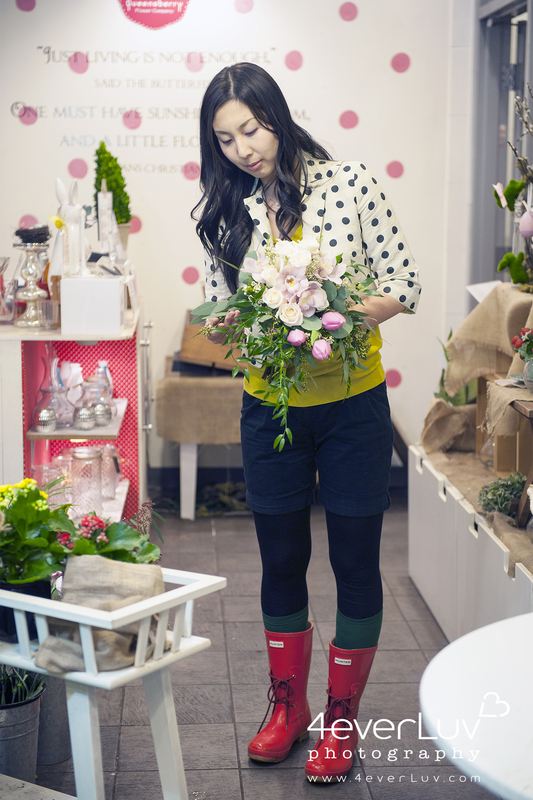 What is your favourite part of being a florist? I am a very creative person, just like everyone else at Queensberry. So being able to be creative on a daily basis and be surrounded by colorful flowers is so wonderful. Even my baby enjoys looking at all the brightly colored flowers at the shop. Any great or memorable stories working with a client? 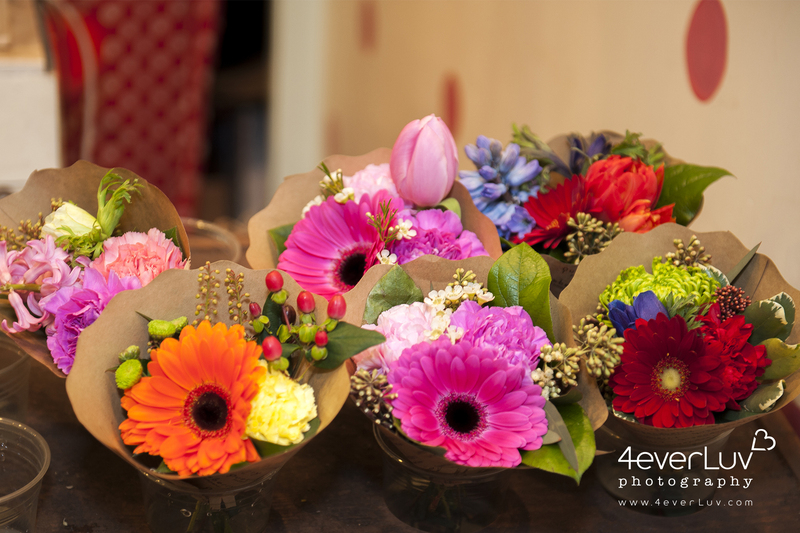 Almost half of our wedding clients are the ones who have been buying flowers from one of our shops on a regular basis. 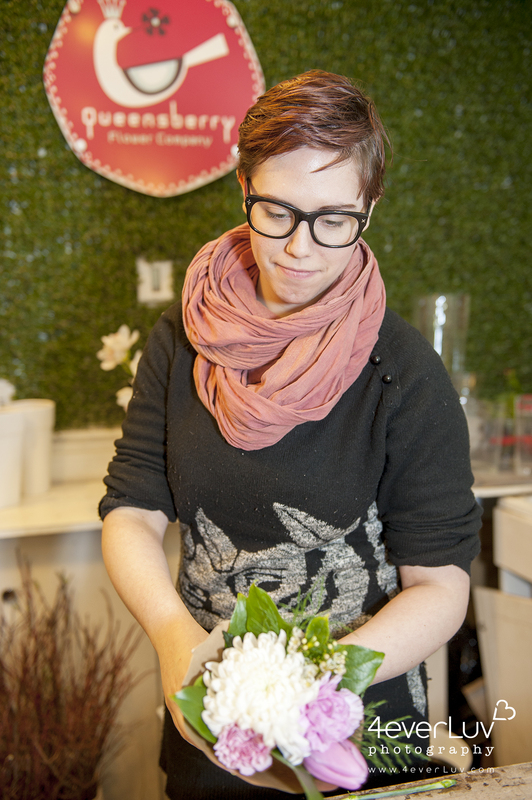 It’s so exciting to sit down with familiar faces to discuss wedding flowers and get to know them. We know them during their courtship (i.e. help their boyfriend choose flowers) and now we work with them for their weddings, and then we continue our relationship through celebrating their life events and milestones like anniversary, birthdays, valentine’s day, mother’s day and so on. So a lot of our customers are like family to us. What are the trends for 2014 for wedding bouquets and centerpieces? 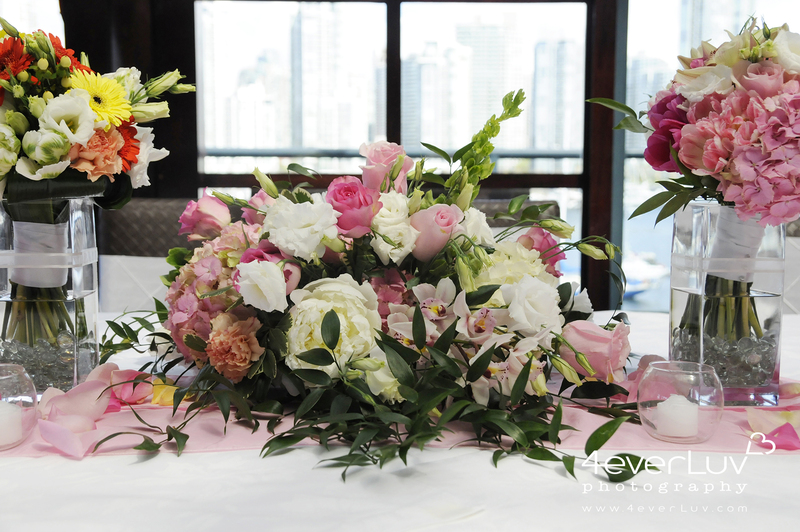 Year 2014 welcomes the larger and more elaborate floral decor and wedding bouquets. We still continue with the previous years’ rustic woodland style with lots of natural, rustic and vintage flair, but more people will be incorporating flowers in a bigger way like flower walls, arches or big flower installation to decorate the entire table. You can incorporate this trend to your wedding on a budget by adding a long flower garland to decorate your long tables or walking down the aisle with a rustic cascade bouquet. 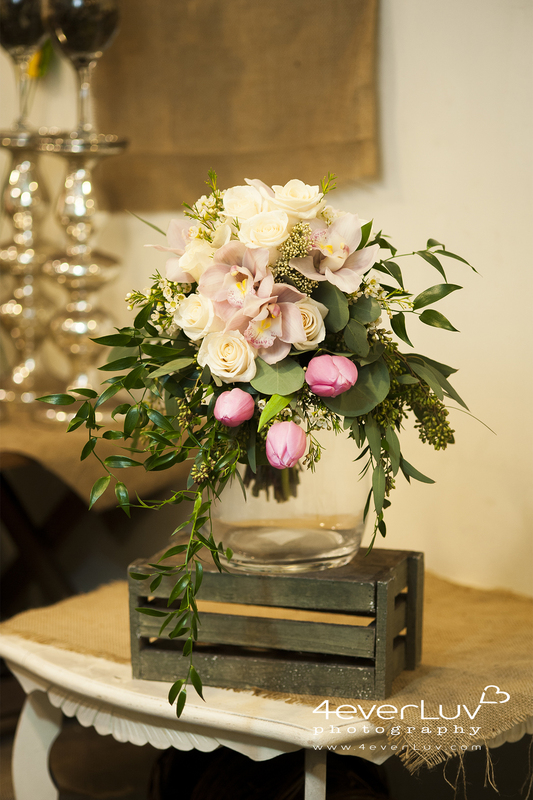 What tips or advice can you give couples ordering wedding flowers? So for the couple deciding what to order for the ceremony and reception, we suggest that they take the size of the venue into consideration. If the ceremony venue has tall ceiling and is a large space (i.e. church or banquet hall at the hotel), it will be a good idea to order tall and large arrangements to avoid flowers looking small. On the other hand, you have to be careful not to order a large centerpieces for small tables as there may not be enough room for the arrangements. The size of the arrangements and the scale of venue should be proportionate. How important are flowers for decor when you have a rather plain reception hall? Flowers bring any venue to life. 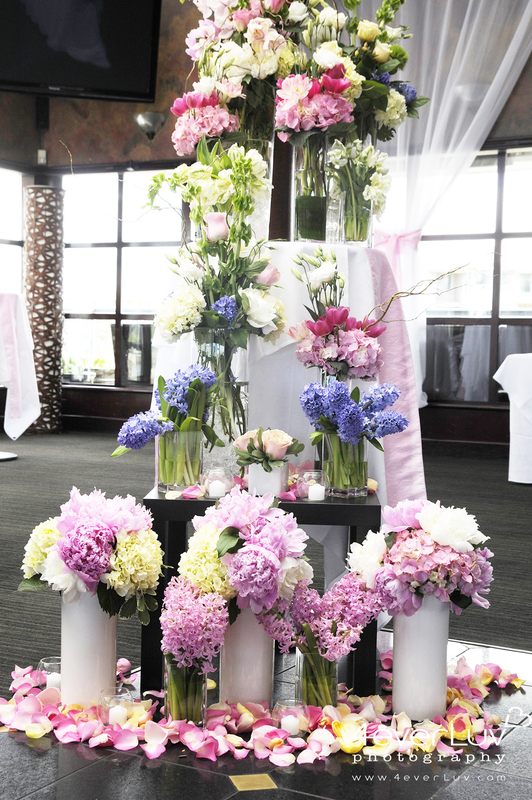 Even the simplest venue can be turned into a lively and extraordinary space with the addition of flowers. The obvious benefits are that flowers add color and brighten up the space, but what is often forgotten is the scent and mood-setting role that flowers play. Weddings are one of the few occasions that fresh flowers are used to decorate a space, and it is their presence that creates an out-of-the-ordinary experience – the magical feeling of anticipation for something wonderful that is about to happen. Popular flowers such as peonies and garden roses are highly fragrant and it only takes a few blooms to fill a room with their sweet perfume, but literally all flowers give off a fresh scent so you needn’t stick to just the popular picks. Even on a tight budget, you can add a small centerpiece to each table with flowers in your theme color to add that pop of color. Covering pillars or a wall with floral accents can instantly make them the focal point of a venue. No matter how modest or extravagant the display is flowers provide an amazing backdrop for photographs taken during a wedding reception. 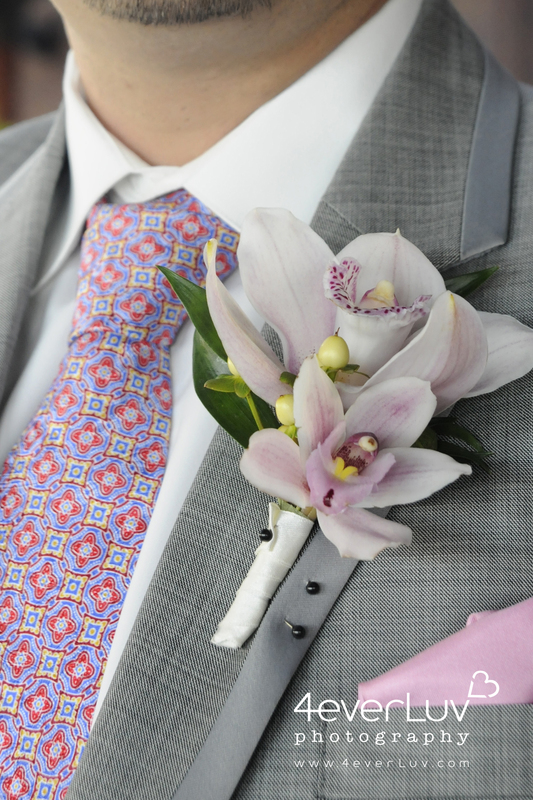 Do you have any tips for choosing the flowers for the Boutonniere? To stay consistent, choose flowers used in the bridal bouquet for the groom’s boutonniere. Keep in mind that the flowers will be out of water for the entire duration of the wedding and there will be a lot of activity (running, hugging, dancing!). At Queensberry, we always make sure to choose flowers that are strong and aren’t easily bruised while ensuring that they match the bridal bouquet and enhance the theme of the wedding. All photos are copyrighted by 4everluv Photography. All floral designs from Queensberry Flower Company.